LEDs (light-emitting diodes) are tiny light bulbs and unlike ordinary incandescent bulbs, they don’t have a filament that will burn out and they will not get especially hot. Energy consumption is much lower and the life span of an LED surpasses the short life of an incandescent bulb by thousands of hours. Also, it is said that the quality or colour of the light from LED is preferable to old filament bulbs, it is a ‘cleaner, whiter’ light plus it’s possible to have coloured versions to add different moods and atmosphere to a room. Installing LED lighting is an easy step towards saving money on energy bills – they will pay for themselves several times over before they need replacing. For a more detailed chat to understand how LED lighting could suit your needs, today. We have a large range of samples for you to see. Can sometimes be retrofitted – ask us! Important points to consider when finding a quality LED product are: Lumen output, Wattage, Kelvin and the Heat management within the unit. To understand these more and start saving money on your electricity bills contact us. Lots of light is required in the kitchen. Under unit lighting is important to cast efficient light over work surfaces and ensure you can prepare food safely. A good ambient light is also nice. 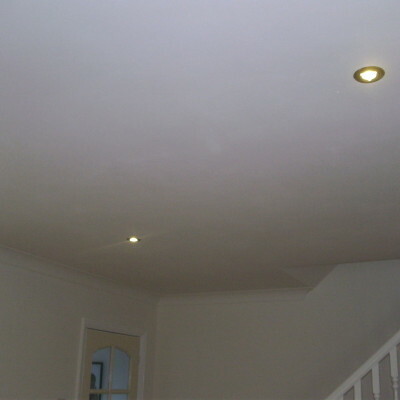 Downlighters in the ceiling create a glare free effect while remaining functional, but it’s important that each spotlight is fitted properly with a fire hood. Pendants aren’t best suited to kitchens as they attract grease and dust. There are very specific obstacles to overcome in the lighting designs in bathrooms and en-suites. These are zoned with different levels of protection applicable to each area. For makeup applications and shaving its best to have bright direct light, but if you want to take a relaxing soak in the tub you may only want background light. This can be achieved by installing separate lights on different switches or dimming the lights. Light wall switches must be located outside the bathroom. Exterior and garden lighting can add a different dimension to your home and garden. Whether you’re looking to enhance garden features and plants or add ambiance to alfresco dining, there are different lighting solutions to bring your garden to life. Outdoor garden lighting requires expert knowledge to ensure all cables and electrics are weather protected and not exposed to water, damp or humidity. We know how to install outdoor lighting safely and keep cables, transformers and controllers out of site for a more attractive finish. The most popular outdoor lighting is security lighting. Security lights, strategically positioned, can help deter unwanted visitors. Lights with a movement sensor can also provide you with the temporary light you need when returning home late at night, illuminating your path so you can see where you’re going. As well as appearance, office lighting can have an impact on the way people work. Whether in an office, warehouse or retail environment, poor lighting can result in employees becoming tired and less productive. LED lights provide brighter, natural quality lighting which lasts longer and helps reduce office overheads. There are several office lighting options available such as LED tube lights, and LED panel lights. LED lighting is more energy efficient and can help you save money on your electricity bills. Norcroft Energy can visit your property and recommend the most suitable lighting to help you achieve the results you're looking for. For more information or to arrange a site visit, call us on 01226 763 127. Lots of my lights have dimmer switches. Can I fit them with LED lamps? Yes, there are many dimmable retrofit LED lamps and newly installed LED lights available. This will be marked on the product specification. Some LED lamps will not have the electronics included to make the lamp dimmable. It is always best to sample an LED to make sure it works well with your existing system before purchasing a large amount. Do energy saving light bulbs take a long time to light up? Originally compact fluorescent lamps did but these have now been superseded by LED units which provide instant, bright light. Can LED lamps be used outside? Yes, some are designed to be in water proof fittings. Do they contain any mercury or harmful chemicals as other energy saving lamps? No, LEDs do not contain any harmful mercury, hazardous substances or chemicals unlike compact fluorescent lamps and tubes. When disposing of a broken LED special disposal procedures do not need to be followed.